Here at Happy Feet Fitness we know that becoming, and staying active, can have huge benefits for our health and wellbeing, but we also know just how difficult it can be to make those first steps. At Happy Feet our focus has always been on helping people who are just starting out or who are returning to fitness after a break. We have been delivering Couch to 5k running programmes since 2015. 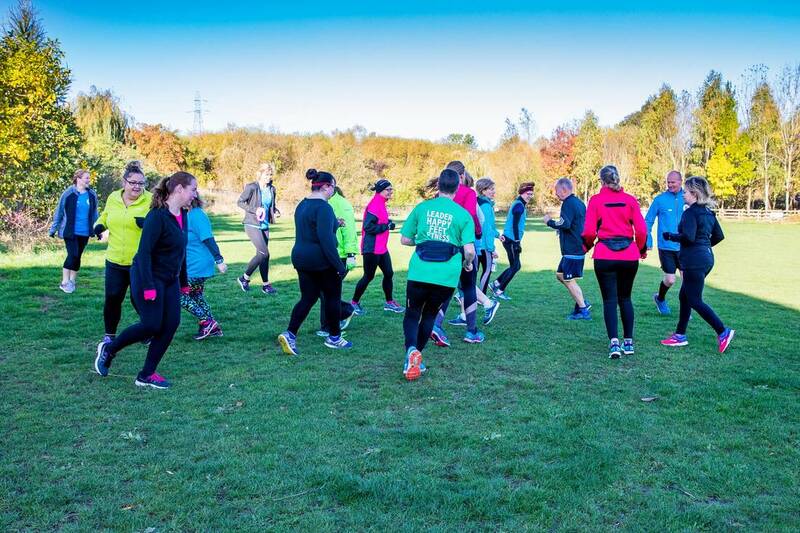 Many graduates from these beginners' courses were very keen to keep running, but still wanted the support of our groups and leaders, so we quickly extended our groups to include regular 5k runs. Since then we have added 5-10k and half marathon courses and more recently we have added Walking to Fitness to our timetable. Happy Feet Fitness is a family business, there's me, Marie, and my daughter Rhiannon, and we have a huge amount of running and walking experience between us. Rhiannon has over 10 years experience as a Fitness Instructor and Personal Trainer and has been running since her teens. I am also a fully qualified Fitness Instructor and have been running for over 20 years. We both started running when my Mum suggested we enter Race for Life as a family many years ago. At that time none of us had ever run before and I can still remember how hard it was to get started. We trained together, meeting up to do our runs and motivating each other, we were so proud to complete that race, all of us running the whole 5k. Maybe this is where Happy feet Fitness started, we just didn't know it then! 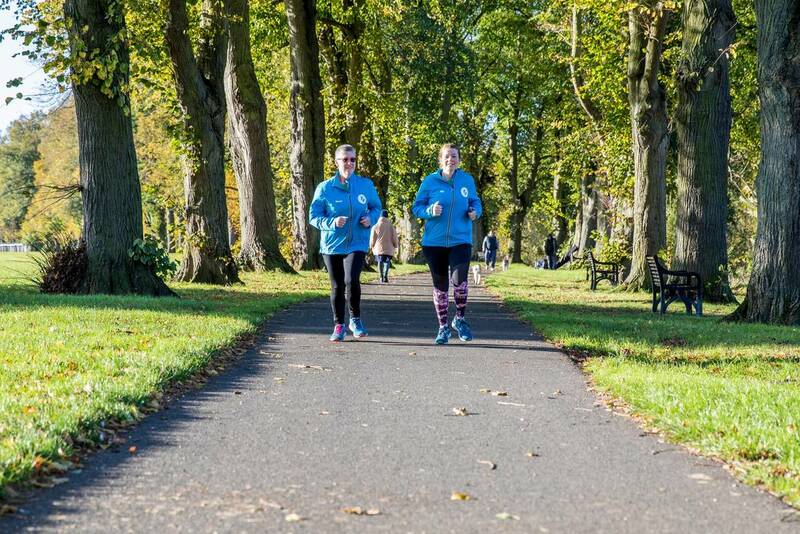 Before setting up Happy Feet Fitness we both trained as leaders in Running Fitness (LiRF) with England Athletics and led Couch to 5k projects for the Hereford & Worcester Sports Partnership among others. In the last three years we have had all sorts of people join Happy Feet Fitness's courses, for all sorts of reasons. Some to become active after years of inactivity, some to help with weight management, some to help manage physical or mental health issues, some to return to activity after injury, some just to see if they can do it. Everyone is welcome, from mums and dads with babies in buggies, teens with their parents, right through the age ranges to our oldest participant who is 74. Whether you join the Walking to Fitness groups, or Couch to 5k courses, we gently ease you in to becoming more active. We have found that once you start to feel fitter you want to carry on and develop your walking or running. We have many groups for you to move on to, to help you do this; most of the people in these groups are course graduates themselves, so are very supportive of new people joining them. We offer the opportunity to progress from walking, to 5k, to 10k and we have also had members complete half and full marathons too. There is no limit to what you can try with Happy Feet Fitness. In our groups no one ever gets left behind. There is no such thing as too slow (or too fast) we have lots of ways to make sure everyone can go at a pace that's right for them. We know everyone has a different reason for getting active and we are here to support you every step of the way. We believe that exercise is important for emotional as well as physical wellbeing and have seen that in our own lives as well as in the experiences of the people we have been lucky enough to meet through Happy Feet Fitness. Rhiannon is a dedicated mum of two young children and she has struggled with antenatal and postnatal depression. She found being active really helped alongside the support she got from her GP, midwife and health visitor. Now she finds exercise a great way to balance the demands of family life, she is also an excellent role model for her children, who think that exercise is a fun part of everyone's life. Most of our groups and courses work out at around £2 per run or walk. We look forward to meeting you at one of our groups soon! ​I love running with The Happy Feet Family because there is no pressure on pace or time just a warm welcome when you arrive.